transform Malaysia into a high-tech, knowledge-based economy. or well over a decade, Malaysia has championed the attraction of global IT companies and the cultivating of domestic high-tech enterprises through its MSC Malaysia ICT initiative, which is administered by the Multimedia Development Corporation (MDeC) Sdn Bhd. MDeC works to empower companies and communities with ICT services and resources and facilitates the country's goal of becoming a knowledge-based economy. It provides skills training, R&D grants and funds for companies to use toward marketing their products and services overseas, among other services. Malaysia offers customized incentive programs to businesses according to their facilities' primary function — internal IT, in the case of DHL, which operates one of two major global data hubs in the country. Incentives for data centers may include reduced land costs, flexible leasing arrangements and power and telecommunication cost incentives. Some regions within Malaysia offer local incentives, as well. The Iskandar Regional Development Authority in southern Malaysia works to attract multinationals' operations in adjacent Singapore, for example. "Almost all the data center service providers here are local companies — NTT Communications being the exception," says Wan Murdani Wan Mohamad, Director, Digital Enablement Division. "In 2011, we launched a program to upscale our data center players by focusing on the three Cs: capability, capacity and credibility. Regarding the latter, we provide funding for them to certify their data centers with internationally recognized certifications, for example, which increases their credibility on the international market. "Regarding capability, we have a similar program where we provide funding for them to send personnel to training programs and to participate in professional certification courses," says Wan. "By increasing the credibility and capability of the data center industry, we believe the business will expand naturally, which will boost capacity." That process is well under way: Malaysia has doubled its data center floor space from roughly 500,000 square feet to about 1 million square feet during the last three years. "Some of this is natural business expansion activity, and some is increased business these companies are getting from overseas investment," says Wan. Malaysia has additional advantages for data center operations, notes Lloyd Lee, vice president, sales, at AIMS Data Centre Sdn Bhd, which operates three data centers in Cyberjaya. The company maintains its primary data center in Kuala Lumpur. Other centers are in Johor Bahru and in other Southeast Asian markets. AIMS Data Centre Sdn Bhd operates four data centers in Malaysia, including the CJ1 Centre (MyTeleHaus) in Cyberjaya shown here. Others are in Kuala Lumpur, Penang and Johor Bahru. "We are virtually free of natural disasters, and there is plenty of land compared to Singapore, for example," he says. "We have a very multilingual population, and in terms of labor costs, we are very competitive in the region." AIMS is a wholesale, carrier-neutral data center provider with customers in the oil and gas industry and other key sectors. "I travel around the region looking for data center space, and the space the government has developed here in Malaysia is very data center friendly," says Adrian Yong, CEO of CSF Group plc, which recently completed a fifth data center, CX5, adding 201,000 sq. 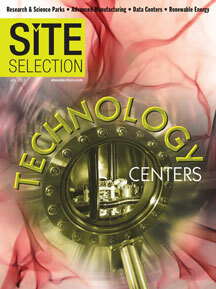 ft. of data center capacity to its 530,000-sq.-ft. portfolio. "The infrastructure is there, it is away from traffic congestion, which makes it easier for people to come here. Electricity and energy costs here are the lowest in Southeast Asia. We are making headway now in lowering connectivity costs, and that gives us a good competitive edge." Q: How does Malaysian Investment Development Authority assist in developing Malaysia's data center industry? A: Under the new MIDA structure, there are eight new service divisions. The Information Technology and Communication Services Division has been established to undertake the promotion of ICT industry in line with MIDA's strategy to promote ICT the ecosystem. MIDA is encouraging existing MNCs in Malaysia to leverage their eminent existence in this country to make Malaysia their regional hub for Global Sourcing, Shared Services and Data Centers. Multinationals such as Dell and Intel have multiple operations in Malaysia from manufacturing to shared services and procurement. The growth in this industry will accelerate investment in facilities management and mechanical and electrical sectors, such as uninterruptible power supplies (UPS), cooling equipment and DC infrastructure management (DCIM) systems. As the first point of contact for foreign companies coming into Malaysia, MIDA welcomes ICT projects, namely Data Centres, Shared Services, software development, digital content and cloud services. Yong is referring to direct connectivity to points abroad that, like international air connectivity, is not yet as robust as that available in Singapore. "In 2014, we will have additional cable connectivity, which will help improve that." Yong and his peers in the booming data center business see plenty of demand ahead. As Yong reports in CSF's most recent annual report: "Enterprises in Malaysia have recently begun embracing the ‘software-as-a-service' delivery model. Their interest is primarily driven by the lower total cost of ownership in the services model, the conversion of capital expenditure to predictable operating expenditure and the ability to scale up or down depending on business needs. Based on this trend and the Malaysian Government's continuing support of the data centre industry, the Malaysian data centre services market is expected to grow at around 16 percent per annum over the next five years with cloud computing to be an important driver of growth as Malaysian enterprises demonstrate increasing interest in cloud services." Data center space wholesaler MyTeleHaus Sdn Bhd Executive Director Yew Kim Keong says regional economic hubs Singapore and Hong Kong should expect Malaysia to win more data center business in the near future. "We in Malaysia and at MyTeleHaus specifically can provide much more cost-effective space without sacrificing quality." MyTeleHaus has four data center facilities in Malaysia — two (one in the planning stage) in Cyberjaya and one each in Johor and Petaling Jaya. The company specializes in space for managed services providers. DHL has operated a data center in Cyberjaya for 10 years, and opened another in Prague in 2004, both of which serve as disaster recovery centers and data hubs for the global logistics provider's various divisions. "There is a very small chance of natural disasters here in Malaysia, we find excellent English language and IT skills here, and it's a very good location for moving people in and out," says Dave Adams, head of middleware support, and data center facility manager. "We have a very good relationship with the Malaysian government in terms of moving people from here to Europe and vice versa to get to know their counterparts. Though we are a global organization, we don't have the cultural differences between Europe and Asia that there might otherwise be." Adams says work force availability and grants from Malaysia's Multimedia Development Corporation (MDeC) Sdn Bhd are additional considerations for locating data center operations in the country. "MDeC worked closely with DHL and were very supportive in terms of our setting up here and training and grant provisions, encouraging us to stay and invest more," says Adams. "It's easy to find highly skilled people here, in part because we have good relationships with the universities here. We work with the high-tech institutions in Cyberjaya and some in Kuala Lumpur as well." The United Nations specialized agency for ICT, International Telecommunication Union (ITU), had plenty of options as to where to base its cybersecurity arm, the International Multilateral Partnership Against Cyber Threats (IMPACT). It picked Malaysia's Cyberjaya high-tech district near the capital city of Kuala Lumpur from locations throughout the initiative's 146 member countries. IMPACT is a United Nations–backed, not-for-profit, public-private partnership that coordinates the resources of governments, academia and private enterprise in reducing the risk of cyber threats. "IMPACT serves as the cyber security arm of the UN agency," says Datuk Mohd Noor Amin, chairman of the management board. "We provide the UN member states with assistance and support in the area of cyber security across a wide range of activities, all of which is being delivered from this facility in Cyberjaya." Malaysia was chosen as the headquarters for several reasons, says Datuk Amin. "The Malaysian government foresaw the issue of cyber threats, even before many other governments began talking about it." "The Malaysian government foresaw the issue of cyber threats, even before many other governments began talking about it," he relates. "In 2007, they decided they wanted to provide the world a hub for cyber security, much like Atlanta is home to the Centers for Disease Control (CDC). Whenever there is an outbreak of disease in the world, such as SARS in Asia or Ebola in Africa, the affected governments and the UN will typically work with CDC and its global ecosystem of pharmaceutical companies, international agencies like the World Health Organization (WHO) and government-backed research labs to research for a vaccine, issue the appropriate advisories, standard operating procedures and so forth to the rest of the world. So in the IT sphere IMPACT is the CDC-equivalent as far as cyber threats are concerned." Datuk Amin says Malaysia, and Cyberjaya specifically, is an ideal home for IMPACT due to the "first-world infrastructure at third-world prices. The cost base is very good," he adds, "and we have the ability to source our knowledge workers from anywhere in the world thanks to Malaysia's comparatively relaxed immigration policy. Malaysia's multicultural and multi-religious mix makes it easy for us to attract people to work here. The country's prosperity, high education standards and low crime rates, coupled with its first world infrastructure makes a very attractive proposition to those considering to relocate here for work." Adding to Malaysia's allure to IMPACT and other data-intensive enterprises is its stable political climate and amicable relations with other countries. "Malaysia has strong diplomatic ties with China, India, the US and other key markets, so there are no real geopolitical issues for us to contend with," says Datuk Amin. "We cannot be in a country that is perceived to be hostile to the partners we want to serve, so Malaysia is the perfect home for us in that sense, too. This is a very important consideration for us." Adams stresses the importance of power to his operation and says he gets strong support from the power provider and from the government. "If there is a major power outage in Malaysia, the number one area that get restored is Putrajaya, because that's where the government is, and nearby Cyberjaya. It's very stable in terms of power, so from an infrastructure point of view, that is very important. Also, we're very close to the [Kuala Lumpur International] airport, and we have everything we need in Cyberjaya — restaurants and banks are within walking distance of this area, and traffic is negligible." Adams says DHL has recently extended its lease: "We are definitely here for the long haul. We have invested quite significantly in our high-density room, and we are looking at consolidating a lot of our servers into one main room, which may require leasing some floor space — most likely in a MyTeleHaus facility." When data center modernization plans are complete, DHL will occupy about 11,000 sq. ft., which could shrink in the future to just 5,000 sq. ft., Adams surmises. "I fully expect our footprint to shrink, rather than grow in the next few years. But I foresee the work force growing, because we will be providing different levels of service." The company is launching internal cloud services, among other initiatives, that will require new skill sets. "We will recycle the work force by retraining and getting people interested in new processes." In April, NTT Communications Corporation (NTT Com) began construction on its new Cyberjaya 4 Data Center. Operations are slated to commence at the new facility in May 2014. Malaysia Cyberjaya 4 Data Center (CBJ4) will be NTT Com's fourth data center in Malaysia, expanding its ability to provide new business solutions for disaster recovery, managed services and professional training, which will be implemented through platform-as-a-service (PaaS) and infrastructure-as-a-service (IaaS) business models. CBJ4 will feature redundant systems for commercial and uninterruptible power supply, cooling, power generator and power distribution, plus robust systems for fire and flood prevention. The facility's 24 x 7 office environment will enable a wide range of business process outsourcing. Malaysia's Economic Transformation Programme seeks to grow the gross national income of the country's business services sector - primarily IT services and outsourcing - from RM19.5 billion in 2009 to RM78.7 billion (US$6.4 billion to $26 billion) in 2020. Positioning Malaysia as a world-class data center hub is one of six entry point projects (EPPs) identified as key to achieving this goal. NTT Com says its customers will enjoy high-speed, large-capacity Internet access through NTT Com's global IP backbone and Arcstar Universal One global IP-VPN. The Asia Submarine-cable Express connecting Malaysia, Japan, Philippines, Hong Kong and Singapore will provide CBJ4 customers with extra-low-latency, extra-reliable network, data center and cloud services on an end-to-end, one-stop basis. "Malaysia is well positioned to be a world-class preferred hub for data centers," said Fumitoshi Imaizumi, president and CEO of NTT MSC, a wholly owned Malaysian subsidiary of NTT Com. "Liberal investment policies by the government, solid infrastructure and a large supply of people with IT expertise and multilingual talents offer clear advantages for foreign investors, particularly in terms of disaster recovery and offshore relocation. Our new Tier III-ready facility will enable us to deliver outstanding service quality to cater to accelerating local and global demands." Basis Bay provides green data center development, IT consulting and outsourcing services to companies from four Malaysia locations, including Cyberjaya, and four other offices in Europe, elsewhere in Asia and the US. "The majority of our clients prefer a Malaysia location for various reasons, including the fact that it is a safe place in which to host a data center compared to the Philippines or Indonesia," says T. Rajan, technical director. "In Cyberjaya, the infrastructure is world class, so we can deliver on clients' expectations of high levels of uptime, in part due to support from the government, which encourages data center investment and the IT sector in general." This Investment Profile was prepared under the auspices of the Multimedia Development Corporation Sdn. Bhd. (www.mdec.com.my).